We bring it back to the beginning with episode 233. Way back in June of 2014, Jason and Alan launched the Dental Hacks podcast with our first guest, Dr. Lance Timmerman! 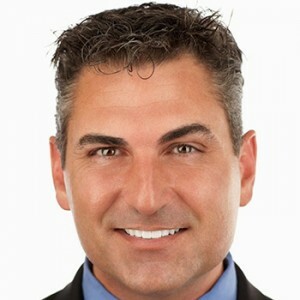 You may know Lance from the wildly successful and funny “Working Interferences” podcast or you may just know hi as the dentist with the world’s best head shot. We’re not polished. We’re not very sure of ourselves. Yet, it ended up being a pretty great interview! So…we take you back to the beginning. The show that started it all! And we’ll see you next week with some amazing brand new content! There aren’t that many things that are “shortcuts” in dentistry. But we’ve found one thing that kind of is. 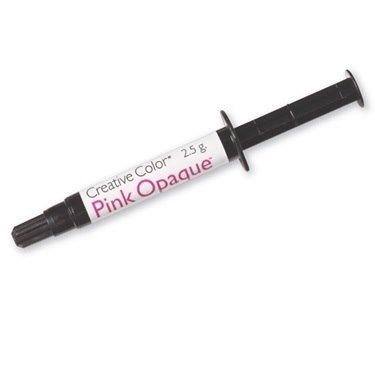 It’s Pink Opaque from Cosmedent! Basically, it mask dark stuff more easily and gorgeously than anything else you’ve ever tried! Endo accesses, discolored teeth, porcelain fractures (even to metal!). You name it and you can cover it with Pink Opaque! Go check it out at dentalhacks.com/pink! Have you ever had a patient swallow a crown? Or maybe even worse, one of those $100+ implant screws? Feels pretty great, right? 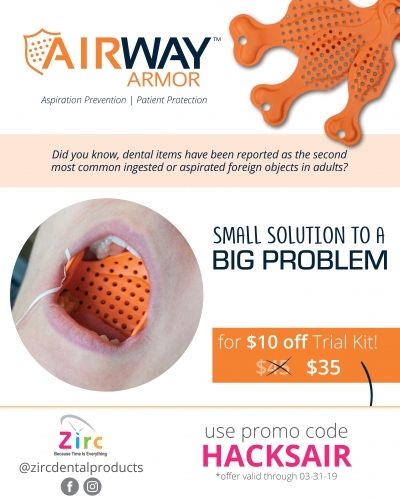 How about you put all of that behind you by trying Airway Armor from Zirc! If you order on their website at dentalhacks.com/airwayarmor and use the coupon code: HACKSAIR you’ll get an trial kit (normally $45) for $35!